Because of its spacious stainless steel test compartment the RTC 1500 is a well-suited workshop system for testing large objects. The RTC 1500 is particularly designed to test these objects in an easy, quick and user-friendly way. By which the large pneumatic operated cover lid ensures easy and quick loading and unloading of the test objects. In addition, one can choose to put the RTC 1500 on a frame to increase the working height or to add a pallet truck ramp to the front for loading a pallet easier. Besides pallet truck loading, you can also load the system manually or by forklift. To ensure save working for your employees the cover has an impact resistant window. 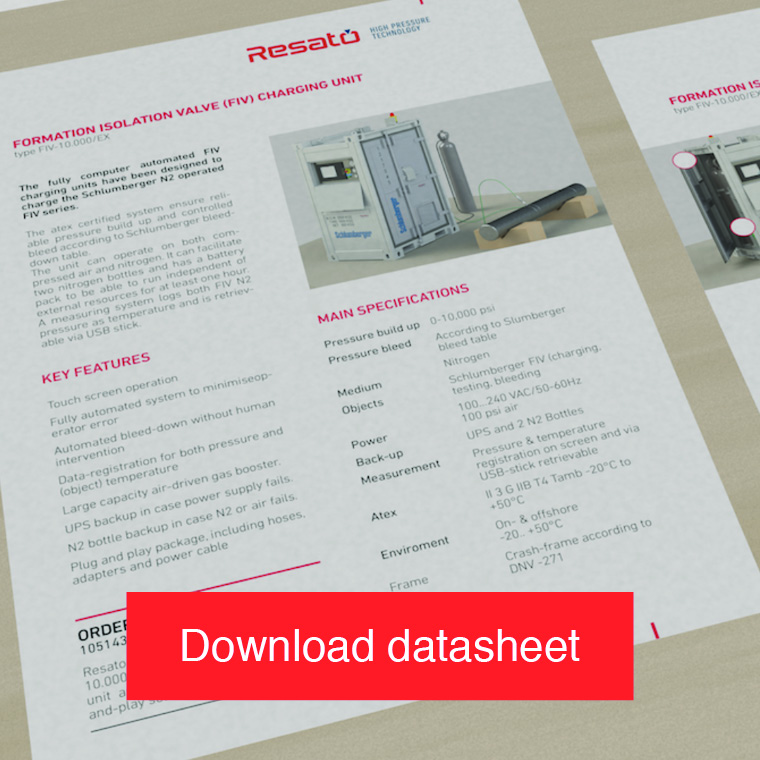 The RTC 1500 is compatible with other test systems of Resato and can be used in combination with a Resato HPU high pressure unit. The ready-to-use system is put into operation by positioning an object in the test compartment and connecting it to a hydraulic pressure outlet and return connection. The object can remotely be de-aired by also connecting the return connection. After positioning, the pressure test cycles can be started by a Resato HPU series manual operated test system or a fully computer controlled HPU-CC series system. Opening and closing speed 10 à 20 sec. Materials All wetted parts are made of non-corrosive materials, and the cover window is made of impact resistant polycarbonate.